How would you rate your experience with Cuisinart ? Cuisinart was founded in 1971 by Carl Sontheimer in Chicago, Illinois. After a trip to France where Sontheimer and his wife saw an early version of a food processor, Carl decided that he could make something similar which would drastically reduce the preparation time for cooks. A graduate of MIT, Sontheimer took apart the prototype that he brought from France, he streamlined some items and refined others. In 1973, Sontheimer introduced “The Food Processor” at the National Housewares Expedition in Chicago, Illinois. It didn’t catch on right away. Most people thought of the food processor as nothing more than a high priced blender. By 1975, however, his product was being used by Julia Childs and James Beard, as well as being featured in Gourmet magazine. 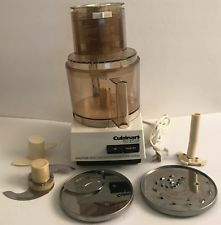 In 1977, the market suddenly turned for Cuisinart, with orders going from a few units each month to hundreds of units each month. By the end of 1977, sales had hit the $50 million mark. 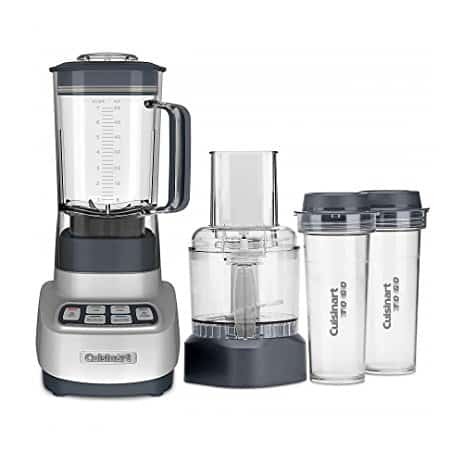 Cuisinart began making several different models of food processors before branching out in 1986. Today, the company makes toaster ovens, blenders, coffee makers, cookware, slow cookers, stand mixers, and much more. The company sells its products in almost every brick and mortar store, as well as online stores and their own online site, in the US, Mexico, Brazil, Spain, Canada, and Hong Kong. 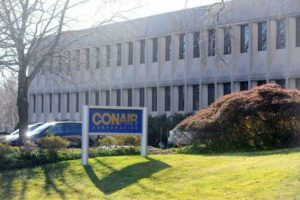 The company has a manufacturing facility in Rantoul, Illinois and headquarters are located in Stamford, Connecticut. In 2016, the company put out a recall due to cutting blades which were held on by faulty rivets. Consumers reported that the blades were coming part and putting metal particles into their food. 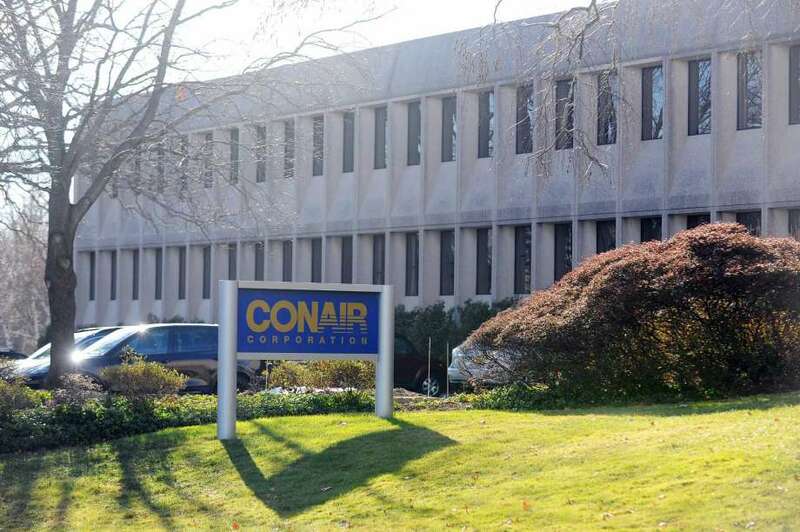 Conair Corporation acquired the company in 1989 for $60 million. Question 1: What is the phone number for Cuisinart? Answer 1: The phone number for Cuisinart is (203) 351-9000. Question 2: Who is the CEO of Cuisinart? Answer 2: The CEO of Cuisinart is Leandro P. Rizzuto. Question 3: Who founded Cuisinart? 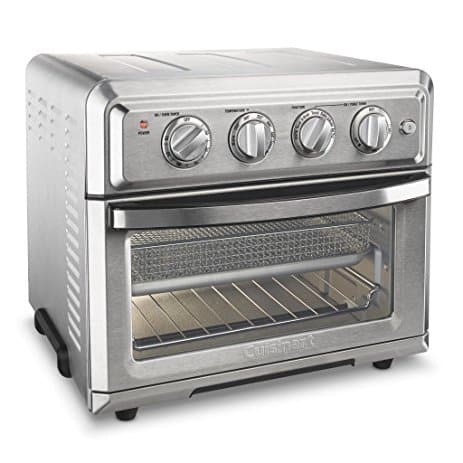 Answer 3: Cuisinart was founded by Carl Sontheimer in 1971. All I need is a knob, I call your customer service to have a knob replaced on my toaster oven. They tell me they don’t have any knobs. They have to replace the whole unit. I JUST NEED A KNOB. My limited warranty covers this but I have to pay shipping and a $10 processing fee. I JUST NEED A KNOB. Shipping will cost approx $35 plus $10 processing fee…. I JUST NEED A KNOB. Does this sound insane or what? I JUST NEED A KNOB. Cuisinart this can not be how you treat your customers. I JUST NEED A KNOB. This is such an unfriendly treatment of customers. I plan to put this on social media sites so customers and future customers are aware of your insane policy for replacing a broken knob. I JUST NEED A KNOB. Thanks….I JUST NEEDED A KNOB!!!!!! Thank you for your response. Based on the information you have provided, your unit is within the limited warranty period and can be set up for replacement. However, our warranty does not include shipping and processing fees either way. Based on your specific product, your shipping and processing fees for us mailing out your new unit will be $10. We ask that you also cover the cost of shipping the defective unit to Cuisinart. We recommend that you use a traceable insured delivery service. If this is agreeable please let me know. Please reply, with history, to this email. We invite you to call our Customer Service Department at 1-800-726-0190. Please keep in mind the Customer Service Agent will not have access to your e-mail information. The hours of operation are 8 AM -10 PM EST Monday through Friday and 9 AM – 5:30 PM on Saturdays and Sundays, excluding major holidays. The stamped serial number on bottom of unit is 4517. Thank you for your inquiry. We do apologize about the issue that you have experienced. We are in need of the serial number it will be stamped on the bottom of the product. Just spent 2 hours holding for your customer service. 5 separate calls that all disconnect after 20-30 minutes. I heard how important my call was hundreds of times. Apparently not. Solution……I will NEVER buy another Cuisinart product!!!!!!! All I need is a replacement work bowl for the 11 cup Cuisinart food processor. Computer research shows “Out of Stock” on the Cuisinart website. Amazon shows two used bowls available. Other replacement part companies state that they cannot get this, and other, Cuisinart parts. Two hours of hold on the phone; advise that emails are answered within 24 hours; a very pleasant voice advising that there is such a high volume of calls that it is best to send an email and that if I am calling about replacement blades it takes a long time to make them (this two years after the recall?). And on the second call 48 hours after the first – a different email address to contact – Cuisinart_cserve@ conair.com. REALLY! This is not Customer SERVICE! Finally, a real person who advises me that the bowl is available for over $50 plus shipping; when I query that that is double the price on their own website which said it was not available, she checked and said she was being unable to order the item. I was given the part number so that I could ‘shop around’. The rest of the unit is in working order. Please advise HOW one can acquire a replacement work bowl – DLC-865AGTXT1 (part number provided by Customer Service Agent), for Model # DLC- 8SBCY. # on bottom of machine is so small I cannot be sure this is accurate – EV11PC9. A $180.00 product should have replacement parts available. If the recall on the blade really should have been a recall on the whole product, then why not be honest and say so. IF a replacement bowl is going to crack and be dangerous, why not be customer friendly and advise us not to even try to replace? Thank you – but not holding my breath! I am on my forth Cuisinart Air Fryer Toaster Oven and none of them will maintain a temperature. If I set it at 350, it goes from 300 to 450 to 350 and so on. It never stays at a temperature. I have had many batches of burnt cookies. Save your money, DON’T BUY THIS PRODUCT!!! I am extremely disappointed in the complete lack of customer service I have received from your company. I contacted customer service via email on the 10th of September 2018, advising of two defects with the coffee maker I purchased in May 2018. I did not receive a response until the 21st of September, advising me to call customer service. I did that and spoke to an agent who advised me that I would be required to mail the entire unit to Woodbridge, pay for it and include payment to have the unit returned to me. This is a ridiculous process, especially for a machine that is less than a year old! I advised him of this and requested to speak with a supervisor. I left a message for the supervisor, went to voicemail, AND I HAVE NEVER RECEiVED A CALL BACK! On the 24 of October, I sent an email requesting the contact information for the head of customer service, AND I HAVE NEVER RECEiVED A RESPONSE! I sent this email to the attention of the head of customer service on November 1, AND NEVER RECEIVED A RESPONSE!!!! As I have mentioned in the past, I have had other Cuisinart products that I have never had a problem with. The lack of customer service I have experienced in dealing with this matter will make me hesitate before purchasing any future products from your company. Just an aside, I have a Jennair oven that is over 8 years old, an error code showed up today, I called Jennair, spoke to one of their customer service reps, and have a service repair scheduled for tomorrow! This is how customer service should look like! I am the mother of author Lauren Groff and 2 time Olympic triathlete and Ironman/Ironwoman Sarah (Groff) True. I purchased my Cuisinart Food Processor after Lauren was born and before Sarah was born and it is still working beautifully. My family still enjoys pesto, bisques, gazpacho, and many other delicious and healthy food prepared by this wonderful machine. The whole family gets together at Christmas and several times in the summer in New Hampshire. If you would be interested in taking a photo and getting a testimonial from us, please let me know. I have been a fan of Cuisinart for years and had great experiences with your products. But yesterday my four year old toaster quit on me. Just stopped working. The push lever won’t stay engaged and even when I hold it down only two of the four coils heat up…. one side of each slot. So I’m very disappointed. Can you tell me if it’s repairable? my husband, who’s very handy in this regard, has had no luck. RE: Customer Service interaction concerning a defective product (other previous emails not shown). Not COOL! Your letter identifies me as a Valued Customer yet you deny me help even though your warranty rhetoric in the manual that came with my Cuisinart PrepExpress states the follow: “This warranty is available to consumers only. You are a consumer if you own a Cuisinart PrepExpress that was purchased at retail for personal, family or household use.” It does not say ‘except if purchased on eBay’. I purchased this item at retail price and I AM a consumer. The box was brand new and unopened. The problem is a defect in the product that occurred in the making of it. There was no damage to the item upon receipt, nothing broken, nothing used to make this problem evolve once it left the manufacturer. Unless of course, your company knew that this and other units were made at that time were prone to defects and sold the lot to someone that would sell them anyway? I was honest and forthright with you about buying it on eBay, for which I am being denied my warranty rights. If I had been dishonest and told you it was a Christmas Gift and I wasn’t sure where it was purchased, would I have been treated differently? So pardon me if I call your company hypocritical and not working in the best interest of a Valued Customer. Whatever happened to “Satisfaction Guaranteed”? Want to make sure Cuisinart sees your comment or complaint?